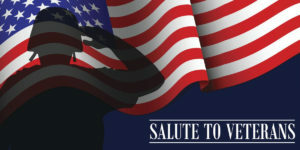 Salute to Veterans, an annual Chamber event with a 12-year history which is a heartfelt tribute to honor the valiant men and women who so bravely serve or have served our Country. We believe that “Protecting freedom is serious business”. In 2018, the Chamber and our Salute to Veterans Committee proudly to recognized women veterans for their devoted patriotism and bravery as an integral part of our National heritage. 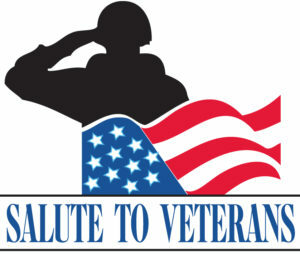 Of all the events the Houston West Chamber of Commerce hosts, the Salute to Veterans luncheon is the most heartfelt among our Members and gives us an opportunity to recognize men and women who serve or have served in our military. The Chamber makes special efforts to honor the men and women of our Armed Forces because they fight for our freedoms – the freedom to be an entrepreneur, the freedom to own a company, the freedom to stimulate the economy, and the freedom to give back to a community and our nation. By their service, they have allowed us, the business owners and employees, to keep our economy and country running and viable in their absence. We wish to honor our Soldiers, Sailors, Marines, Airmen, National Guard, Coast Guard and anyone who defends our rights and keep our country free and safe. We believe that it is both our responsibility and privilege as AMERICANS to honor, respect, and support our troops! Salute to Veterans features displays of war memorabilia and vehicles, a commemorative flyover, Taps, Presentation of Colors by the Texas A&M Corps Cadets Color Guard, and the presentation of the Heart of Service award.